Everything is getting a little bit... mothy. 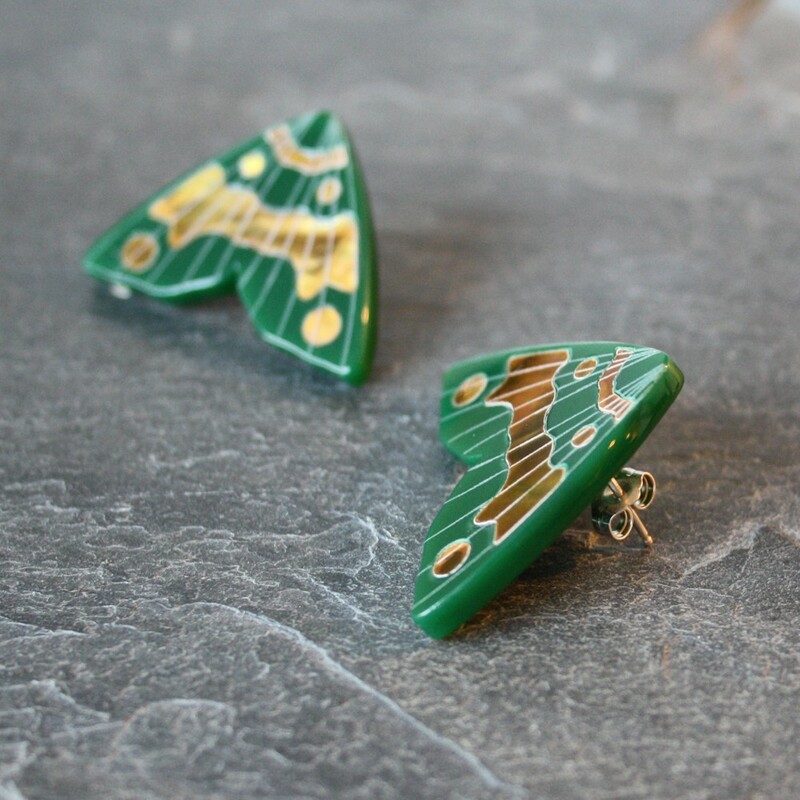 First I had a bit of a thing for Melanie Tomlinson's butterflies, and then this week it was Home Beyond Havoc's bloody expensive unbelievably beautiful moth plates. 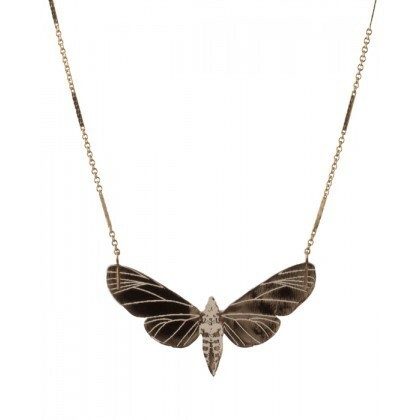 Now I've got my eye on this moth jewellery range from Thor & Whistle, designed by Kamilla Thorsen. Thor & Whistle was set up by Kamilla Thorsen and Rachel Entwhistle (see what they did there? 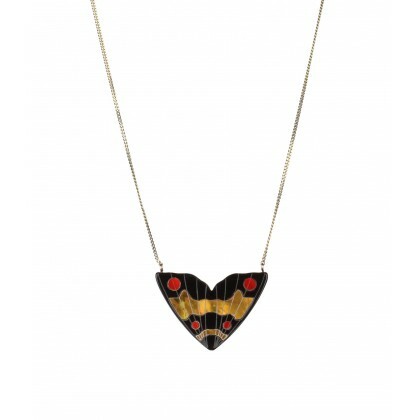 ), with the moth pieces taking on a bit of an Art Deco vibe. Yep, these are super elegant 1920s moths. Obviously. They're chic, aren't they? Made of plexi-glass, with laser cutting techniques, the pieces are then adorned with chain details. 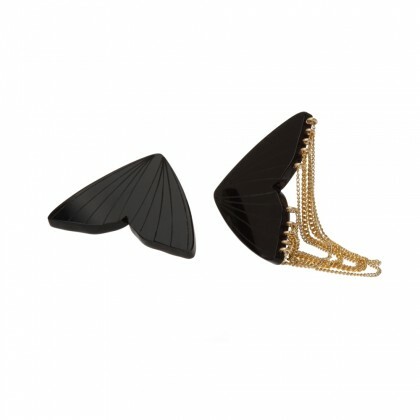 As moth studs go (you know, in my extensive research into moth studs), these are pretty fabulous. The laser-cutting works brilliantly on the wings - looking like the delicate lines across real life insects. 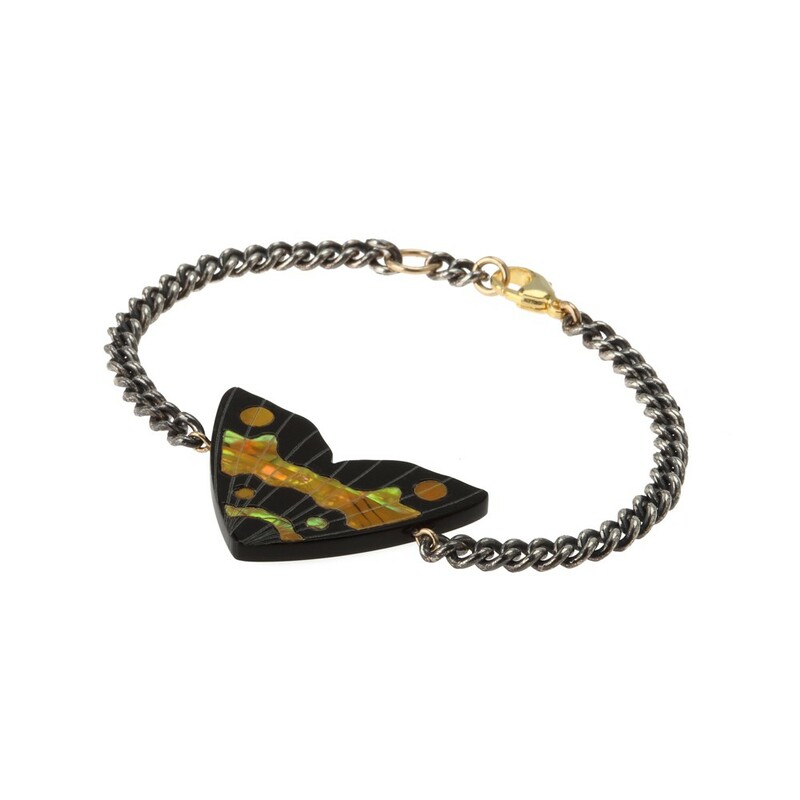 Prices for the jewellery start at £35 for earrings and go up to around £140 for necklaces, depending on how much detail and the materials used and can be bought from Culture Label as well as Thor & Whistle. Both beautiful and totally icky all at the same time! They manage to be incredibly ornate and realistic at the same time, don't they? I think these are beautiful! I manage to get close looks in summer when my cat likes to drop them on my face in the middle of the night.